Northrop Grumman announced Monday plans to acquire Orbital ATK, a company with a portfolio ranging from satellite manufacturing and orbital servicing to launch vehicles, missile defense and munitions, for approximately $9.2 billion, a combination officials promised will lead to better products at lower prices. 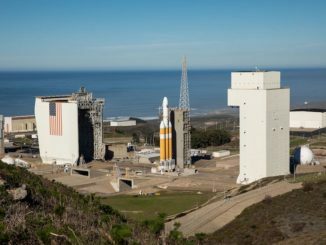 The acquisition is expected to close in the first half of 2018, pending regulatory approval and a vote by Orbital ATK shareholders. Northrop Grumman will buy Orbital ATK for $7.8 billion in cash, plus $1.4 billion in assumed debt. 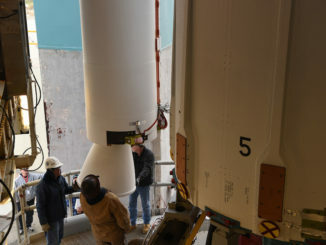 Orbital ATK will initially operate as a separate division within Northrop Grumman to smooth the transition for customers and employees, and ensure ongoing programs remain uninterrupted, officials said. In the long term, Orbital ATK’s satellite, launcher, missile, structures and munitions groups could be further absorbed into Northrop Grumman. Northrop Grumman is not a competitor in the launch industry, but it has a long history in producing spacecraft. 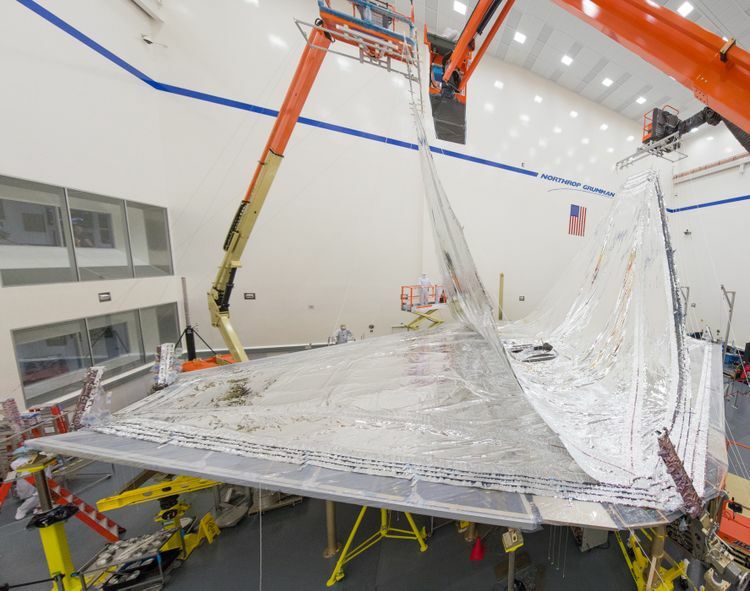 The company’s space facility in Redondo Beach, California, is building the spacecraft bus for the James Webb Space Telescope, and will complete final assembly of the huge observatory next year. Northrop Grumman also builds airplanes and airplane components, and supplies radars, avionics and other components to military customers. Orbital ATK builds smaller satellites and light- and medium-class launchers, supports missile defense programs, and produces ammunition. 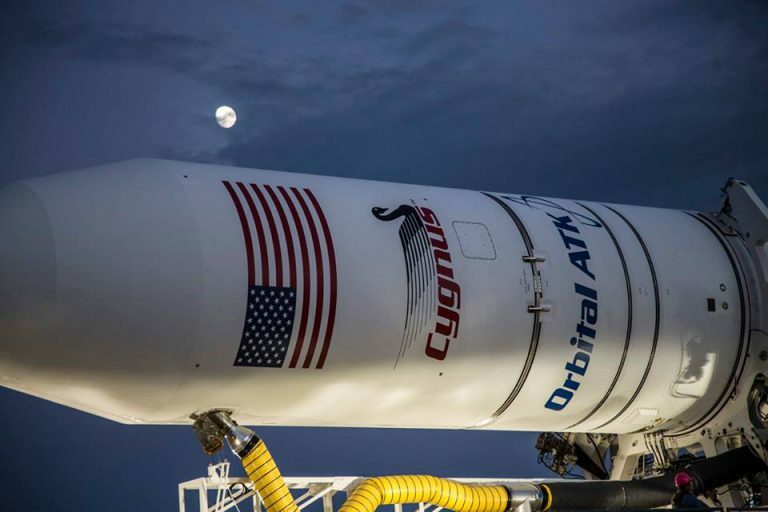 Headquartered in Dulles, Virginia, with 13,000 employees and major sites in eight states, Orbital ATK was formed in early 2015 with the merger of Orbital Sciences and ATK. The corporate marriage combined Orbital’s satellite manufacturing, missile and launcher expertise with ATK’s solid propulsion and composite structure heritage. David Thompson, Orbital ATK’s president and chief executive, said Monday that Northrop Grumman’s acquisition will make for better and less expensive products and more innovative technologies for end users, including the U.S. military, civil agencies and commercial customers. “The Northrop Grumman/Orbital ATK combination reflects a strong strategic fit between two pioneering aerospace and defense companies,” Thompson said. 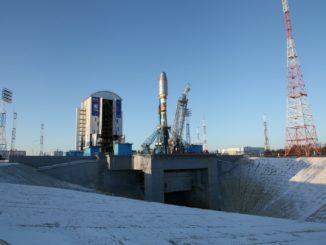 Thompson said Orbital ATK’s existing space programs, which include the Antares launcher and Cygnus cargo carrier for the International Space Station, a commercial satellite servicer called the Mission Extension Vehicle, and other rocket and satellite product lines, will continue unimpeded during the transaction. Officials said Orbital ATK shareholders will benefit from the acquisition, which is valued at $134.50 per share, and employees will have access to a wider range of career opportunities after the deal closes. Thompson declined to say if he will lead the Orbital ATK division in Northrop Grumman. Orbital Sciences was co-founded by Thompson in 1982 and achieved firsts in commercial launch and satellite business, initially highlighted by the development of the privately-developed air-launched Pegasus rocket. Thompson said discussions between Northrop Grumman and Orbital ATK began earlier this year. “I think this is really a classic win-win transaction, a very strategic combination that also makes good sense for both companies from a financial standpoint,” he said.